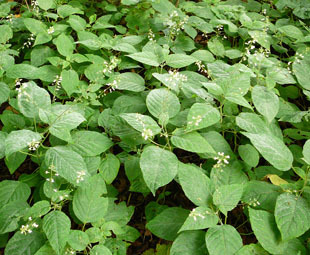 carpet-forming herb, growing up to 60cm. 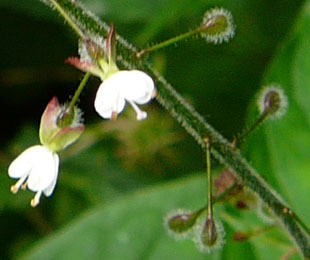 The flowering spikes have delicate flowers 4-7mm across. 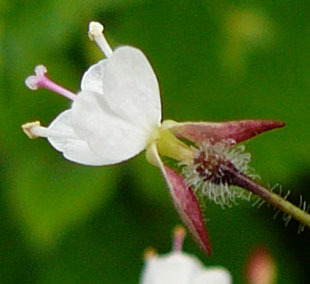 stigma, 2 white petals with a pink tinge, and 2 bent-back sepals. Stems and stalks are glandular. 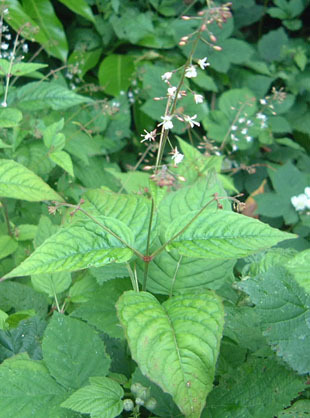 Leaves are pointed ovals, up to 10cm long.